i love using leftovers except for fish! but this looks like it will change my mind. great way to use leftovers! 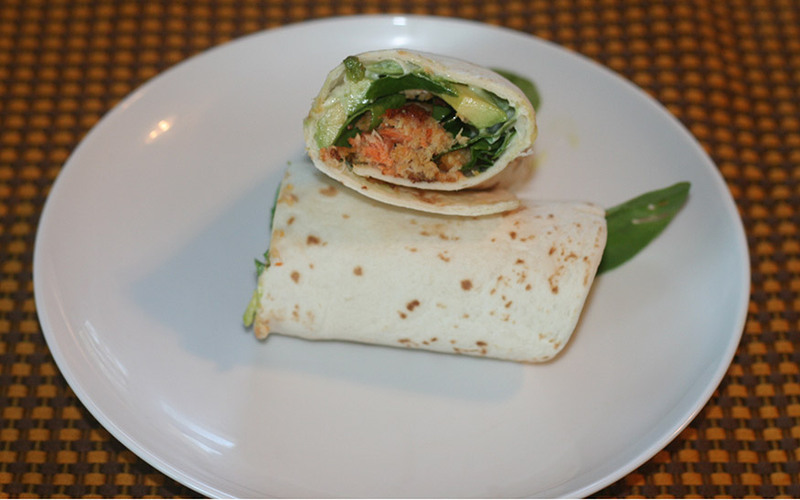 I love to use leftovers and am always looking for new ways, especially for salmon, which I make very often. 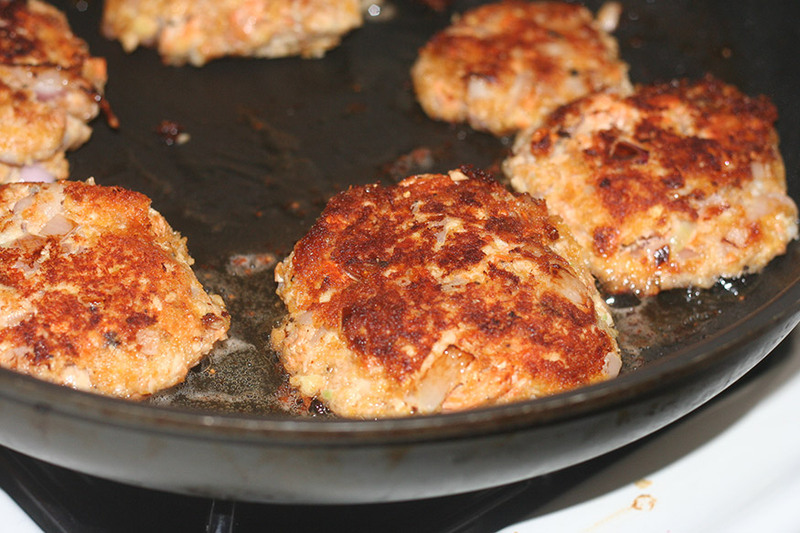 These look great: an updated version of my mother and grandma’s salmon latkes! Leftovers can be rough sometimes, but you would never know that these came from them! Looks great. Lovin the use of leftovers! I love recipes like this, I hate having leftover fish, so this is perfect. I could see making extra salmon just to make these. 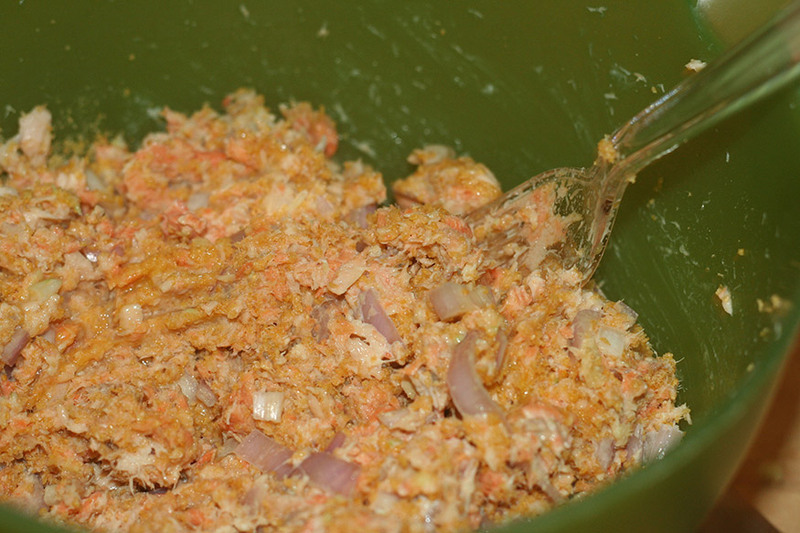 I’ve definitely prepared extra salmon with the intention of turning it into salmon burgers or patties the next day. Not a huge salmon fan, but with wasabi, I’ll eat anything. What a perfect shabbat lunch idea!! I’m adding it to my list. It’s so funny because one of the only leftovers that I DON’T like to repurpose is salmon. I just find that it gets so fishy. I have found though that adding lots of lemon and lemon zest into whatever I’m making (like a salmon pasta salad) helps to mask the fishy flavor. I have to admit that these patties look amazing, and it sure beats using canned salmon! I find that if you get the best quality of salmon and cook it to just perfectly – not overcooking it at all – gets you the best results. Your salmon burgers look really good and we love the addition of the Asian condiments! Now this is my kinda dish… I’m been craving burgers and salmon… what a great combo. Kick it up with the wasabi! Way to go!